Local circumstances may result in higher values than those given here. topography. 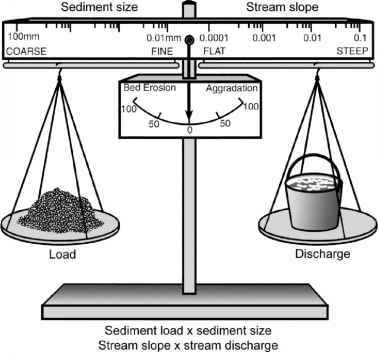 The size of soil C pool is a strong predictor of stream DOC concentration (Aitken-head et al. 1999). Water moving through shallow flowpaths has greater contact with the organic horizon of the soils, and so generally has higher DOC concentrations than are found in ground-water (Frost et al. 2006). Shallow flowpaths can be the result of steep slopes, shallow soils, and the presence of infiltration barriers or of saturated soils, such as wetlands and peatlands (Aitkenhead-Peterson et al. 2003). Deeper flow-paths increase the exposure of DOC to microbes and mineral soils, which can assimilate and adsorb DOC, respectively. In the Amazon, differences in texture between oxisols and spodosols, the dominant soil types in clearwater and black-water river catchments, result in different concentrations of DOC in groundwater and pronounced differences in DOC concentration and composition between these two types of rivers (McClain et al. 1997). In catchments with a substantial area of wetlands, streams have elevated DOC concentrations due to the accumulation of organic acids that reduce pH, thus slowing bacterial decay (Thurman 1985). The proportion of wetlands in their catchments explained up to 70% of the variation in DOC concentrations of Wisconsin rivers (Figure 12.6), and was a better predictor than riparian wetland extent (Gergel et al. 1999). In catchments of the Adirondack Park of New York state, wetlands contribute 30% of DOC inputs but occupy just 12% of the surface area (Canham et al. 2004). Rivers draining permafrost catchments like the Kuparuk in Alaska also exhibit high DOC concentrations due to surface flowpaths through organic-rich soil layers (Harvey et al. 1997, Mulholland 1997b). Based on radiocarbon analysis, DOC exported from wetlands in Ontario, Canada, was of recent origin despite the fact that peat at a depth of 50 cm had an age between 1,000 and 2,000 years, suggesting that C was exported from wetlands primarily through shallow flowpaths (Schiff et al. 1998). Coweeta, 70% of DOC came from groundwater, just over 20% from leaf leachate and about 10% from rainfall and throughfall (Meyer and Tate 1983). A large fraction of seasonal or annual DOC export often occurs during high flows and thus within a relatively short time interval. This is particularly true when high flow results in water entering streams along shallower flow-paths, resulting in higher concentrations of DOC. In two small catchments in Ontario, DOC transport during storms represented 57-68% of the total during autumn and 29-40% of the total during spring (Hinton et al. 1997). In the Yukon River, Canada, DOC concentrations were highest in May and 50% of annual DOC transport took place during spring under high flow (Gueguen et al. 2006). High DOC concentrations were also observed at the beginning of the snowmelt season in a Colorado headwater stream (Hood et al. 2005). Even when DOC concentrations do not increase with discharge, the total annual transport is strongly influenced by hydrological regime because seasonal variation in discharge usually exceeds seasonal variation in DOC concentrations. In pristine boreal forest streams in Quebec, Canada, DOC concentrations were relatively low and constant during the spring freshet, and higher during the productive summer and autumn (Naiman 1982). Nonetheless, the 2-month stream freshet accounted for roughly half of annual discharge and 50% of DOC exports. a stream reach are difficult to measure, and whether the DOM originated within or from outside the stream is usually unknown.